On the recommendation of one of my colleagues, I recently read Alexander Waugh’s The House of Wittgenstein. 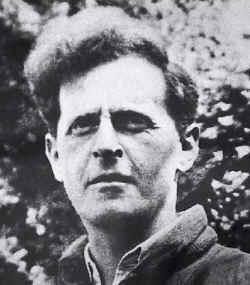 It’s hard to resist for a philosophy professor, since Ludwig Wittgenstein was one of the most important, yet enigmatic and difficult, philosophers of the 20th century. The Wittgensteins were fabulously wealthy, one of the most successful families in fin-de-siècle Vienna. Ludwig was the youngest of nine children; one died in her youth, and the three oldest sons committed suicide. 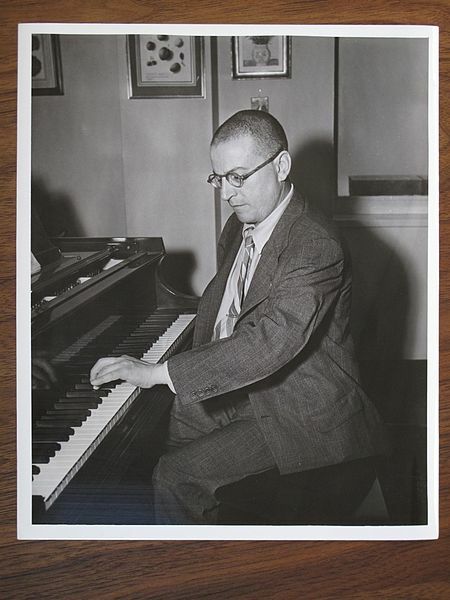 The other remaining son, older brother Paul, was a concert pianist who lost his right arm during World War I, after which he crafted a highly successful concert career playing pieces written by the great composers of the day for the left hand only. Ludwig, Pau l, and their three remaining sisters all suffered from various psychological ailments and considered suicide at various times in their lives. The Wittgensteins were both outrageously successful and spectacularly dysfunctional. Ludwig finds himself in a predicament that all of us face at times. A choice, often an important one, must be made and we need help making it. Do I play it safe or take a risk? Do I continue on a familiar path or take “the road less traveled”? Do I end a relationship or hang in there for a while longer? In such cases we often look to someone other than ourselves for direction. Ludwig was lucky—he actually got some help. Russell told him to write something on a philosophical topic over vacation; based on what he wrote, Russell would provide his advice. Russell reports in his memoirs that after reading what Ludwig produced for one minute, “I said to him, ‘No you must not become an aeronaut.’” And he didn’t. 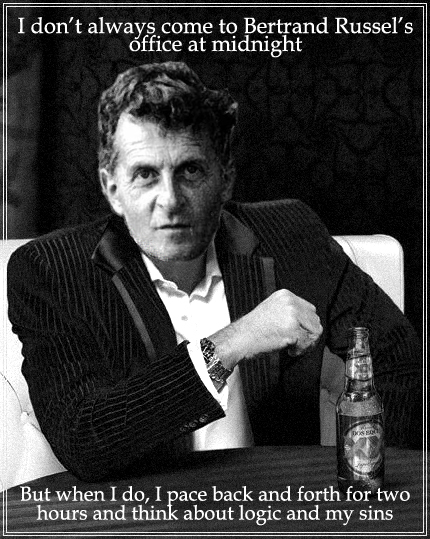 Instead, Wittgenstein became a philosopher whose originality and influence vastly surpassed Russell’s and who set a standard in philosophy that has influenced the discipline ever since. Given that Bertrand Russell was a dedicated and virulent atheist, it seems odd to ask Why can’t God be more like Russell? But think about it—Ludwig asked Bertrand for assistance, Russell gave it, Wittgenstein followed it—problem solved. But God doesn’t operate that way. A case point shows up early in the book of Acts with the case of Matthias. Who, you say? It’s a fascinating and illuminating story. Jesus chose twelve disciples, of course, but one of them turned out to be a disastrously bad choice. So early in the book of Acts, between Jesus’ ascension and Pentecost, the problem of replacing Judas arises—it’s apparently not cool to just have eleven disciples, although I’m not sure why, it being a prime number and all. The qualifications necessary to be the new disciple number twelve are clear. Peter says that it needs to be someone “who has accompanied us all the time that the Lord Jesus went in and out among us,” starting with the baptism of John all the way through seeing the risen Christ. Apparently there were dozens of good candidates; the two finalists are Justus and Matthias. Then the disciples do what might be expected—they pray for the Lord to reveal which of these two equally qualified candidates is to be the new disciple twelve. Now if I were God, I’d honor this hard work and proper request with an appropriate answer. Justus or Matthias would get a halo, or start glowing and levitating, or a dove would descend from heaven while a voice would say “This is my beloved new disciple.” But what do the disciples do? “And they cast their lots, and the lot fell on Matthias.” “Casting lots” is the biblical equivalent of rolling a pair of dice or flipping a coin. So this is like the beginning of a football game. “Call heads or tails in the air, Justus.” “Heads!” “It’s tails—Justus, thanks for playing; Matthias, you’re the new disciple. Here’s your ‘I’m A Disciple and You’re Not’ T-shirt and bumper sticker—Andrew and Bartholomew will teach you the secret handshake.” The new disciple is chosen by a flip of a coin, and everyone accepts it as the will of God. 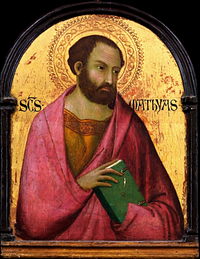 Neither Justus nor Matthias is mentioned again in Acts or anywhere else in the Bible. Weird. But maybe not. It’s typically human to want “signs and wonders,” to look for unmistakable answers to the most important questions. But such answers are not generally available in the normal, human run of things. There are many occasions in scripture where big time miraculous answers and solutions are given in difficult predicaments—crazy Gideon with his fleeces, for instance—but the preponderance of relevant texts say something like what Moses tells the children of Israel in Deuteronomy. The will of God “is not too mysterious for you, nor is it far off. It is not in heaven . . . nor is it beyond the sea . . . but the word is very near you, in your mouth, and in your heart, that you may do it.” God has given us everything we need to address the problems in front of us. Trust what you have been given, do your homework, look at the options, then choose. And flip a coin if you have to. What’s the worst that could happen? 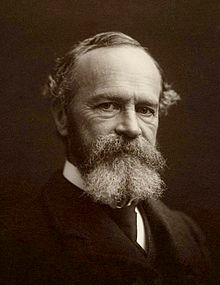 One of my favorite philosophers, William James, recommends a certain lightheartedness when making even the most important choices, a lightheartedness that I also detect in the Matthias story. “Our errors are surely not such awfully solemn things. 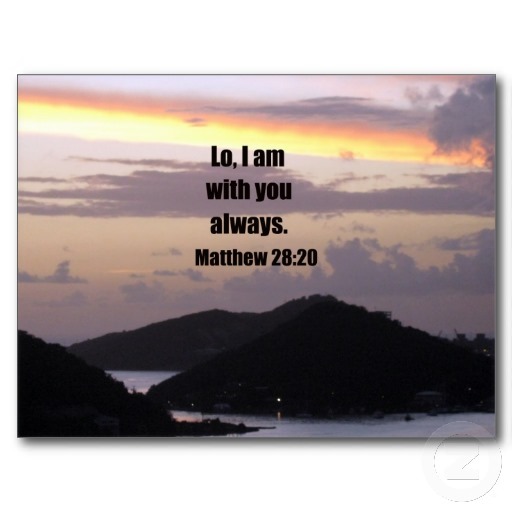 In a world where we are so certain to incur them in spite of all our caution, a certain lightness of heart seems healthier than excessive nervousness on their behalf.” Jesus was human too, and according to Matthew his last words to us were “I am with you always.” Finding God’s will is a matter of believing that these words are true. This entry was posted in Uncategorized on May 26, 2017 by vancemorgan.